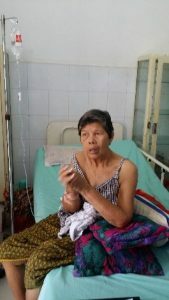 My experience of being an SLP in Cambodia. 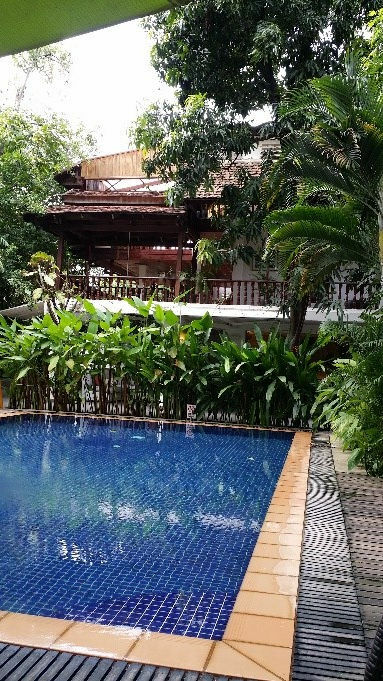 Cambodia is a Southeast Asian nation whose landscape spans low-lying plains, the Mekong Delta, mountains and Gulf of Thailand coastline. It is situated in the southwest corner of the Indochina Peninsula and bounded by Laos, Vietnam and Thailand. 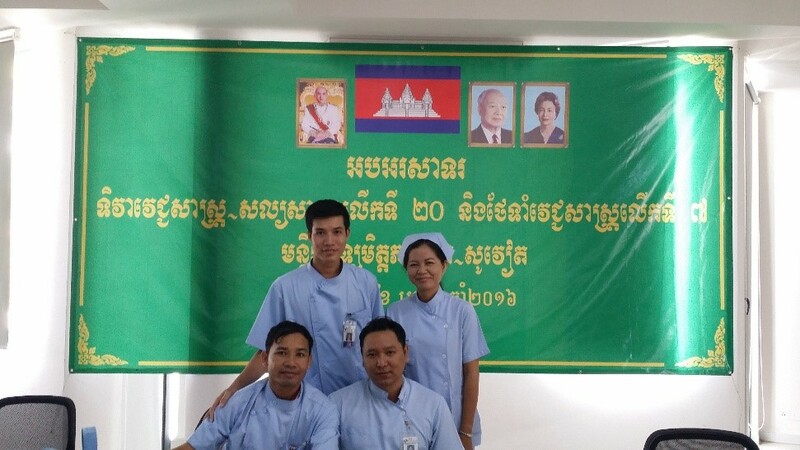 The profession of Speech Language Pathology has spanned the globe but is just emerging in Cambodia. 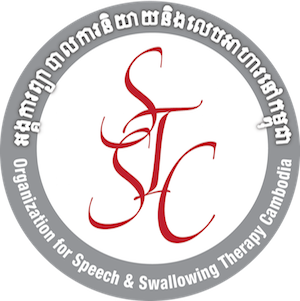 Speech Therapy Cambodia is a Non-Governmental Organization (NGO) dedicated to addressing the needs of adults with speech, language and swallowing disorders, as well as training qualified professionals to provide these services. 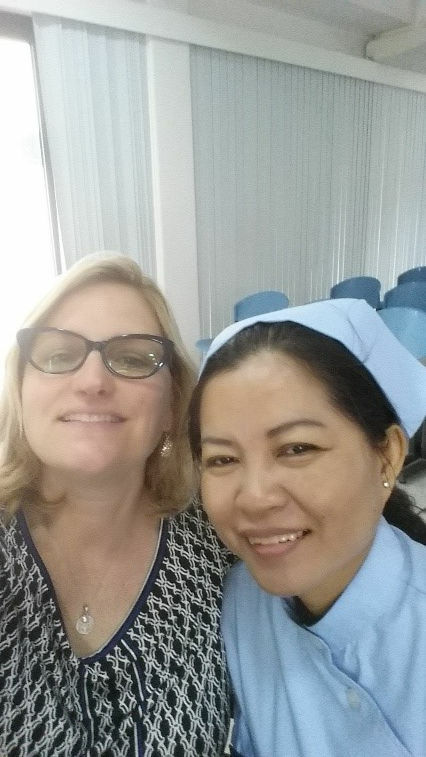 This summer I had the pleasure of being invited by Elizabeth Chafcouloff, CEO of Speech Therapy Cambodia, to Cambodia’s capital city, Phnom Penh. 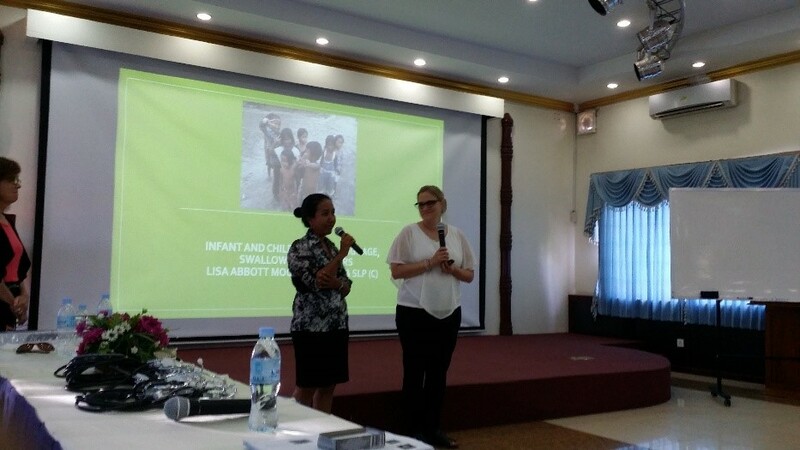 My main purpose was to teach a course on childhood speech language and swallowing disorders at the University of Putisathra. 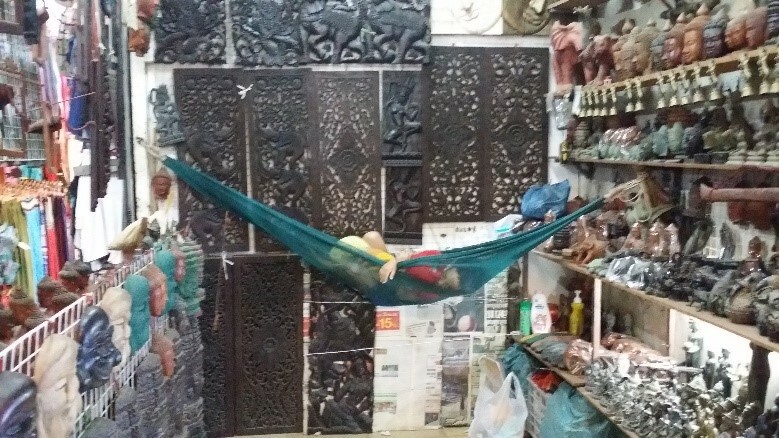 Following a 22 hour flight, I arrived in this magical place where I was immediately captivated by the sights, sounds, and the people of Cambodia! After my flight I needed some serious rest- 17 hours to be exact, and I believe Betsy was worried I would not wake up! 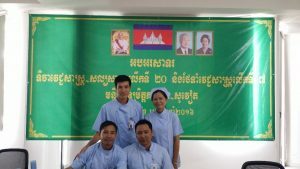 The next few days we began our work at a local hospital, Khmer Soviet, with a tour of the facilities and a visit to Operation Smile. 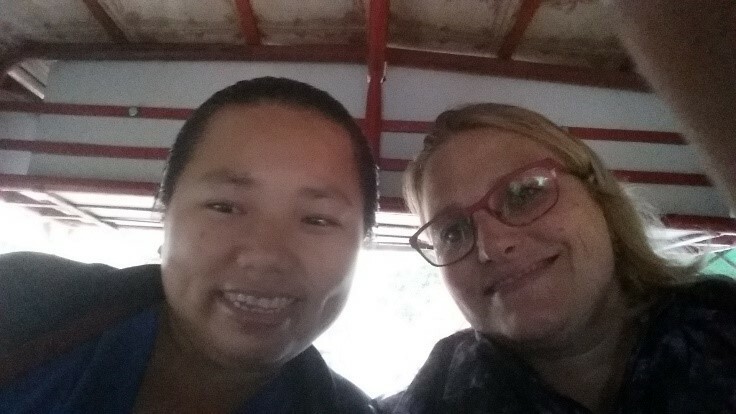 Of course, we arrived in style via Tuk Tuk! 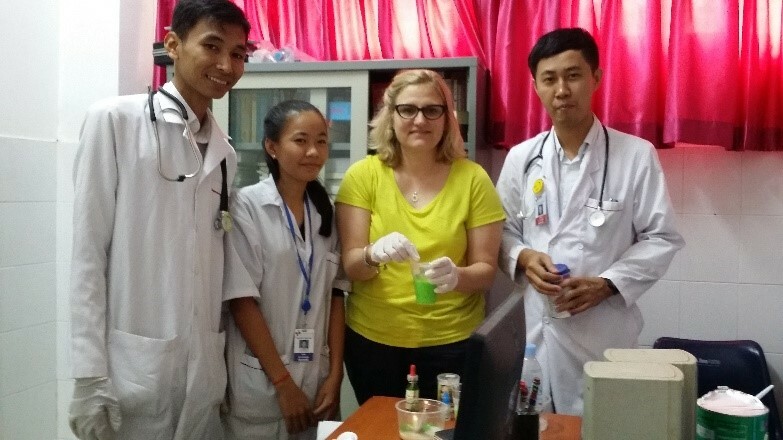 I observed Betsy teaching the physio students who were learning about swallowing disorders, and was able to have my turn in teaching on neuro-anatomy and how to perform a bedside swallowing examination. This is a complex topic to teach to English speaking students, and I did use an interpreter (Phivan) to make communication easier. The students did so well quickly learning this information and discussing some patients they had recently seen with swallowing problems. Englim was put in charge of translating for the group, and was a bit shy at first, but did such a nice job. 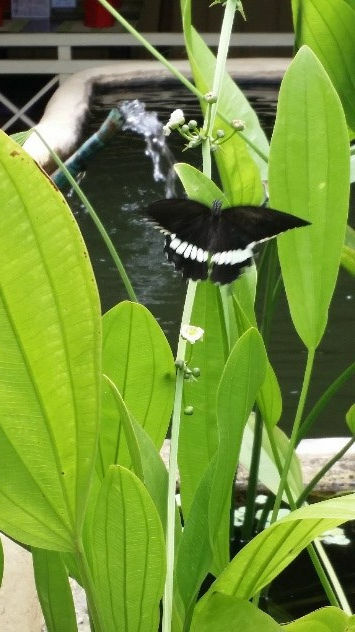 Something commonly seen in the city of P.P. 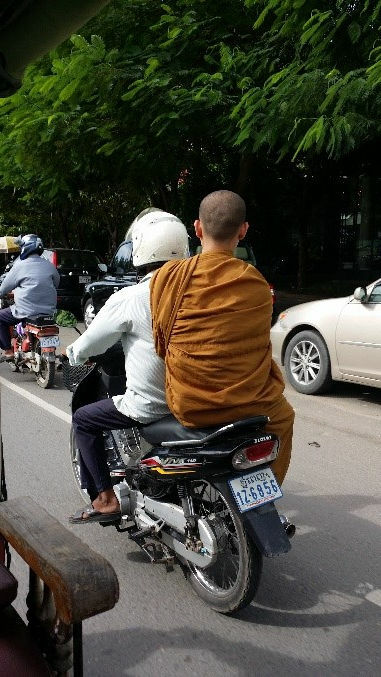 is motorcycles (called “motto”). It made me smile to see this young monk on the back of a “motto” on my way back from teaching at the hospital that day. 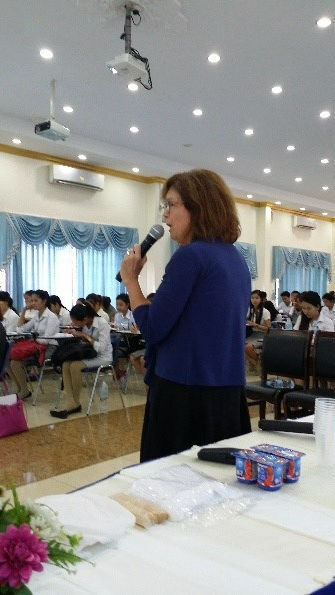 There are three hospitals where Betsy teaches, Calmette, Kossamak, & Khmer Soviet. 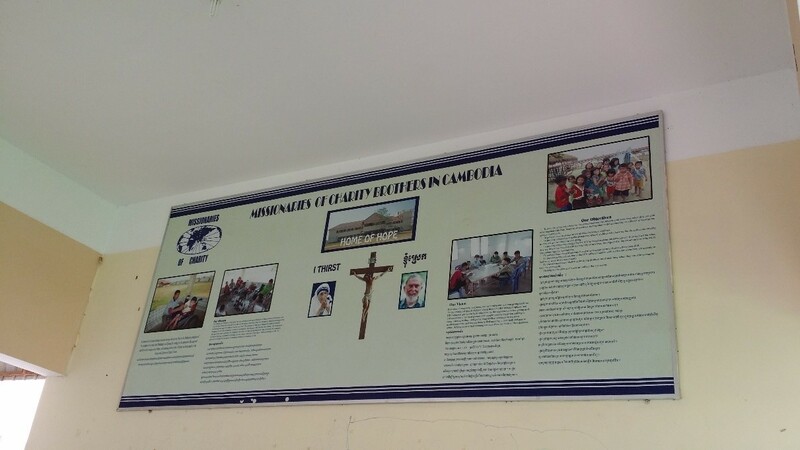 My second assignment was at Kossamak Hospital, where I again taught physio and nursing professionals about swallowing disorders and intervention. 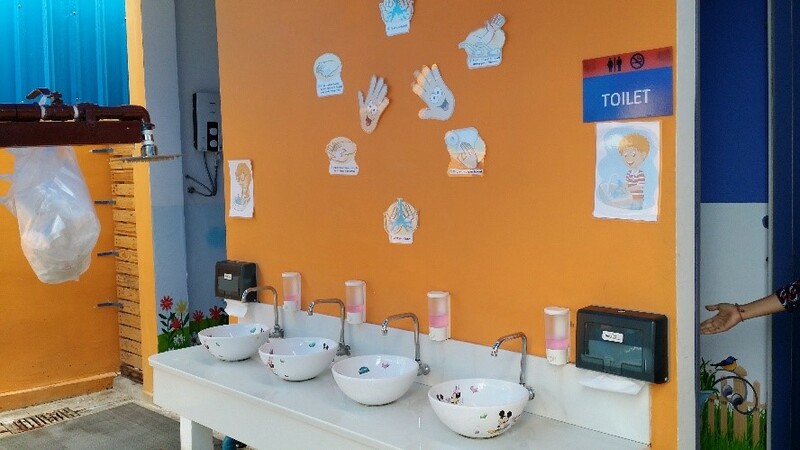 These students were equally as prepared, engaged, and quick to learn the tasks at hand. Of course Betsy took good care of me, and kept me well fed with nutritional food. 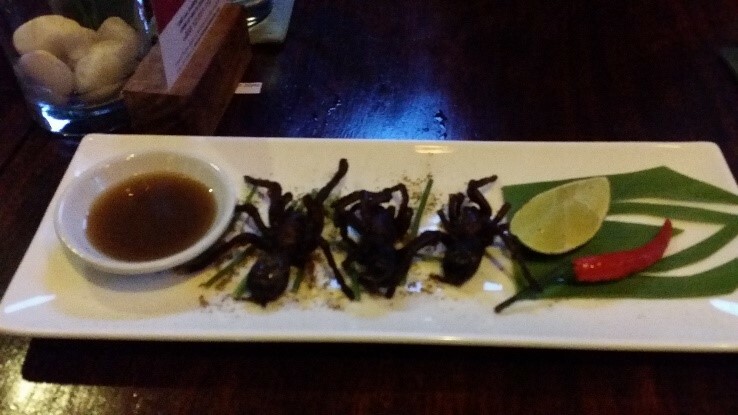 Fried tarantulas are actually a delicacy in Cambodia, so I had to try them. I must admit that initially I did not think I could eat a spider, but after I actually tasted it, I realized it was quite yummy. I returned to Khmer Soviet to do rounds with the physio students as they evaluated this woman with both speech and swallowing issues after her recent stroke. Dr. Samnag and I decided to do a FEES exam on this patient, and I happily assisted with this procedure. 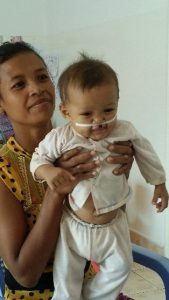 I toured National Pediatric Hospital where Allin is doing fantastic job serving pediatric patients with cleft lip and palate. 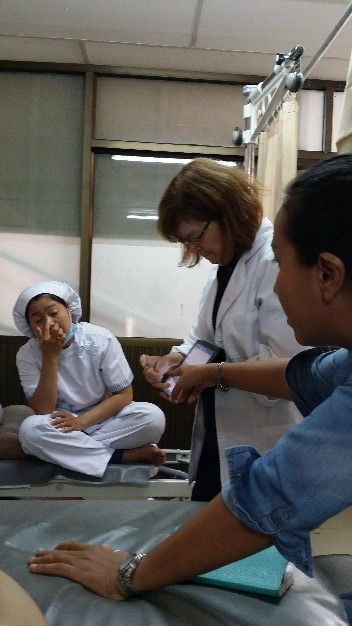 Allin has been trained in Taiwan to provide services to children with cleft lip and palate. We saw about 5 babies that day. Some of these families have traveled over 8 hours to see her. 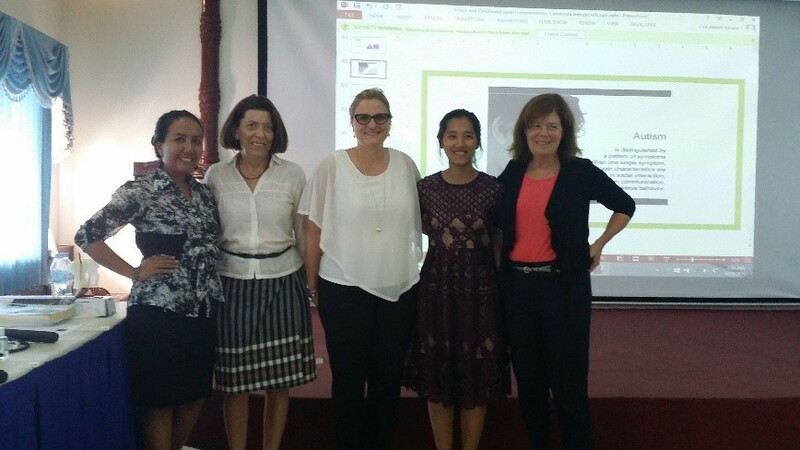 Allin educated families on swallowing and speech stimulation. 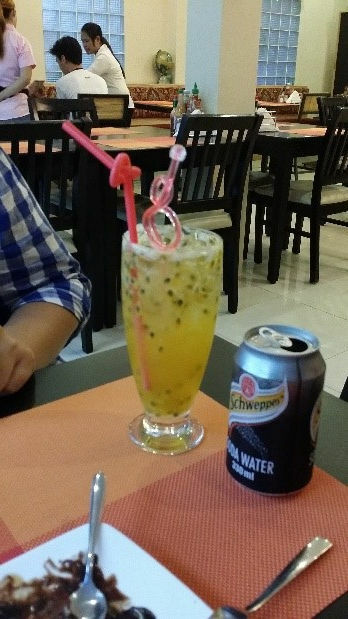 Of course, we worked hard, but afterwards, we cooled off with a passion fruit soda from a local restaurant, and a dip in their swimming pool! Betsy and I taught a large classroom of midwife and nursing students at the University of Putisathra, with the support of our super translator Phivan. Two full days of learning which peaked their interest to request more! 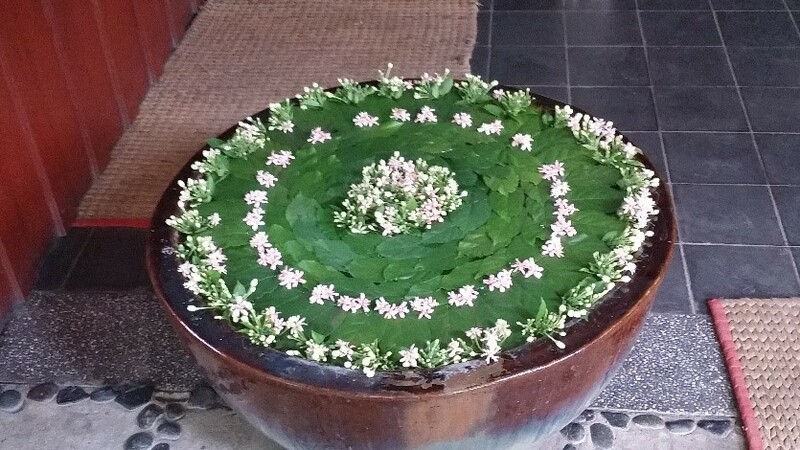 My duties were not over after teaching our class! 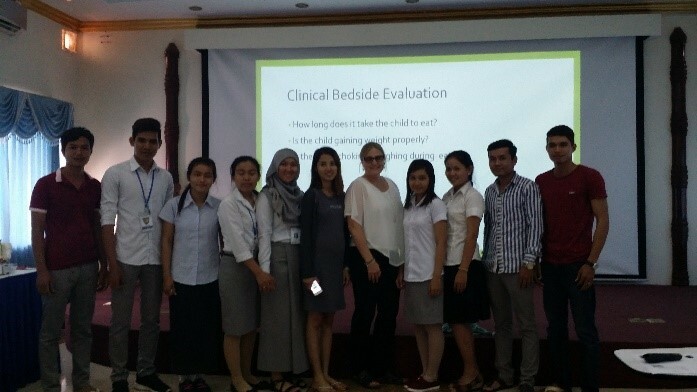 I evaluated a 5 year old child with Autism and provided education and support for the family on stimulating language, traveled by Tuk Tuk to an outlying Catholic mission to the assess needs of children with developmental disabilities, provided a needs assessment to “Teachers in Cambodia”, and assisted with hiring a qualified SLP for them. 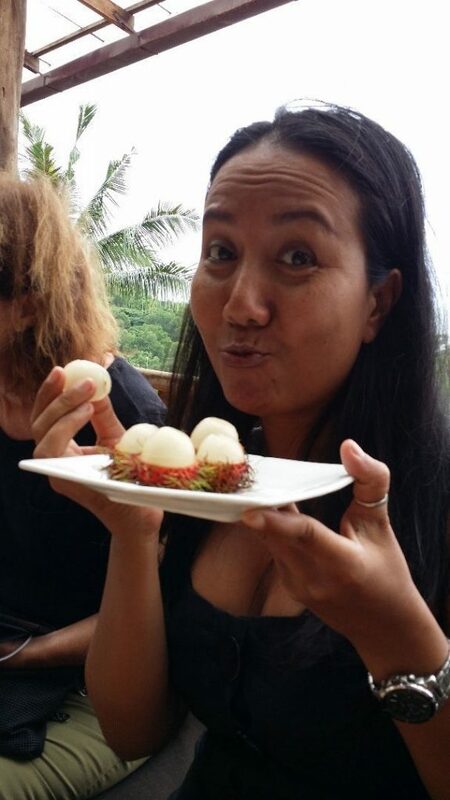 What a pity my hosts were not more fun! 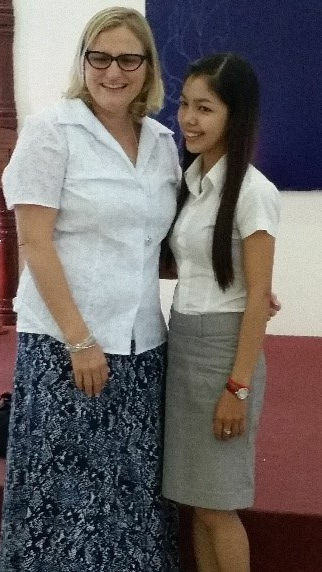 My work in Cambodia was a lifetime learning experience that enriched my professional skills as well as my personal life. 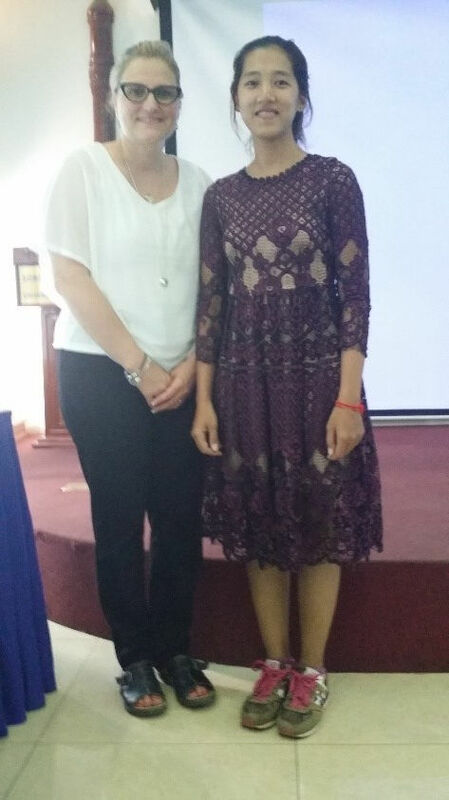 I am forever grateful to Betsy and Speech Therapy Cambodia for this wonderful opportunity to advocate for my profession and to help adults with speech and swallowing disorders. Goodbye Cambodia! Until we meet again.